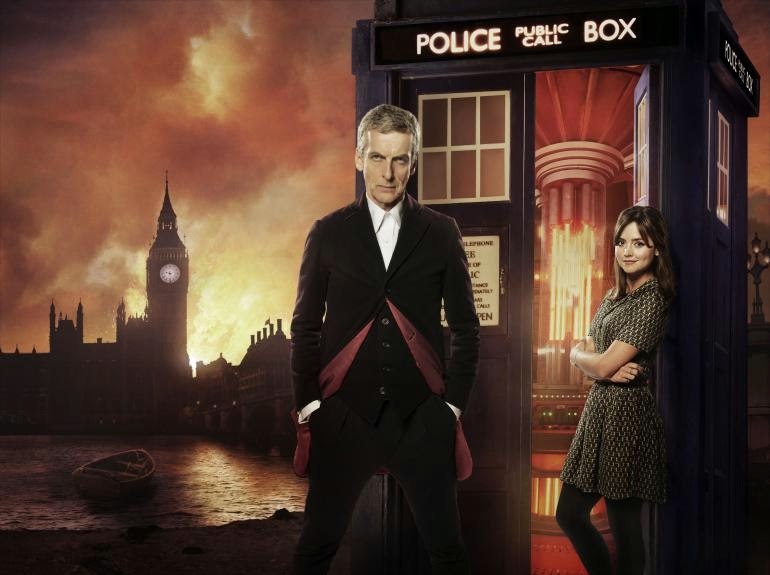 Doctor Who's eighth series received a notably polarizing response from fans. Whilst many TV critics noted it one of the show's best seasons and praised its focus on character development and simplistic story arcs, many fans criticised Clara's prominence over the new Doctor and felt nothing towards newcomer Danny Pink. Personally, along its run, I found Series 8 to be extraordinary. 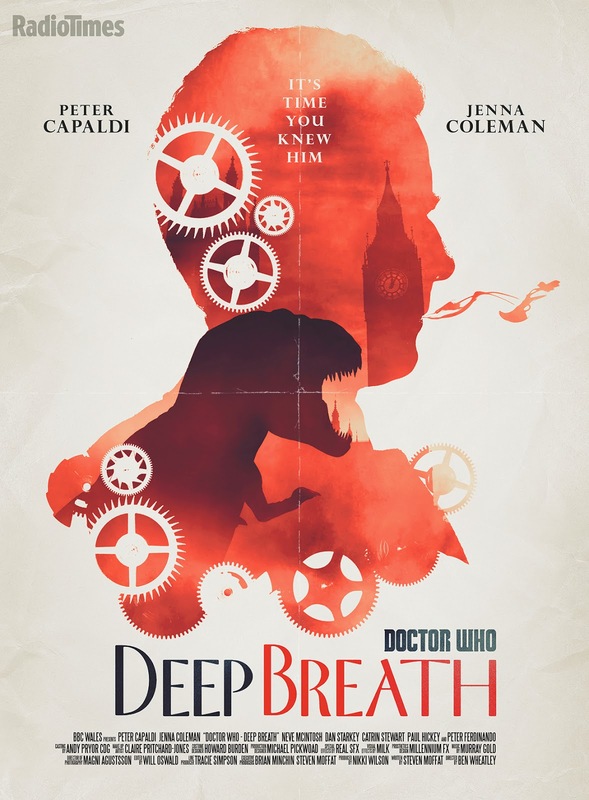 In my review for Deep Breath back in August I stated that I hoped for a darker yet simpler season, and that is what showrunner Steven Moffat presented us with here. It wasn't a perfect run (Doctor Who is yet to offer a season without a misfire episode), and may not quite live up to the heights of Moffat, Smith and Gillan's premiere series four years ago, but in 2014 Doctor Who hit a high I wasn't sure it would ever hit again. Here are my episode rankings for Doctor Who Series 8, from worst to best. Despite a fantastic run, Series 8 fell apart with its atrocity of a finale. 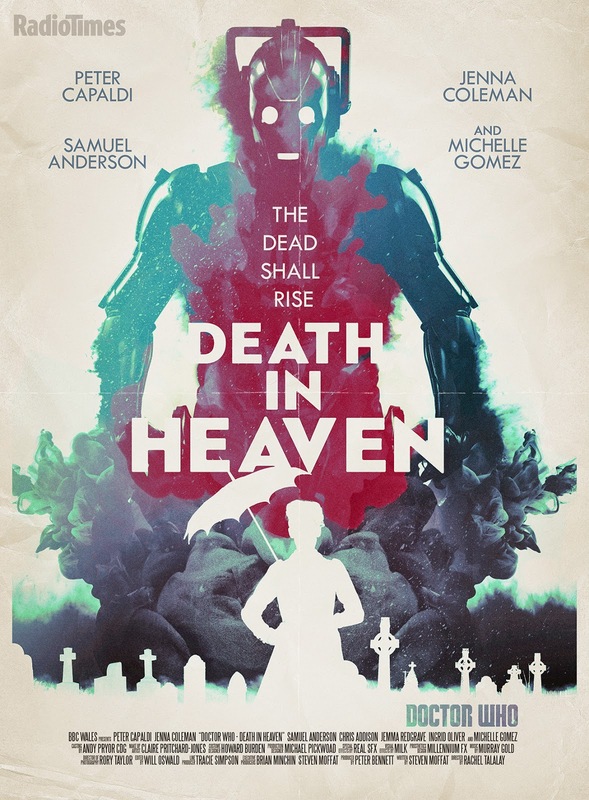 Acting as the first real two part story since the opening half of Series 6, Death in Heaven followed a superb episode and wound it into a complete mess. It may not have been entirely awful (there were some nice character moments between the Doctor and Clara, and Capaldi remained as captivating as ever) but for the most part this was pretty weak, and capped off a fantastic series with a catastrophic finale. The visual effects suffered, the story was poorly conceived and nonsensical, the emotional beats lacked any real power, and they took one of the show's greatest and most promising villains in the form of the Master and wasted the ocean's worth of potential that she offered. In terms of finales, Doctor Who has always been majorly hit or miss. This sits very firmly in the latter category. Doctor Who's eighth series only offered two genuinely poor episodes, and this rounds off that small collection. What was a truly fantastic (if questionable) setup was squandered on silly characterization and all round poor execution. 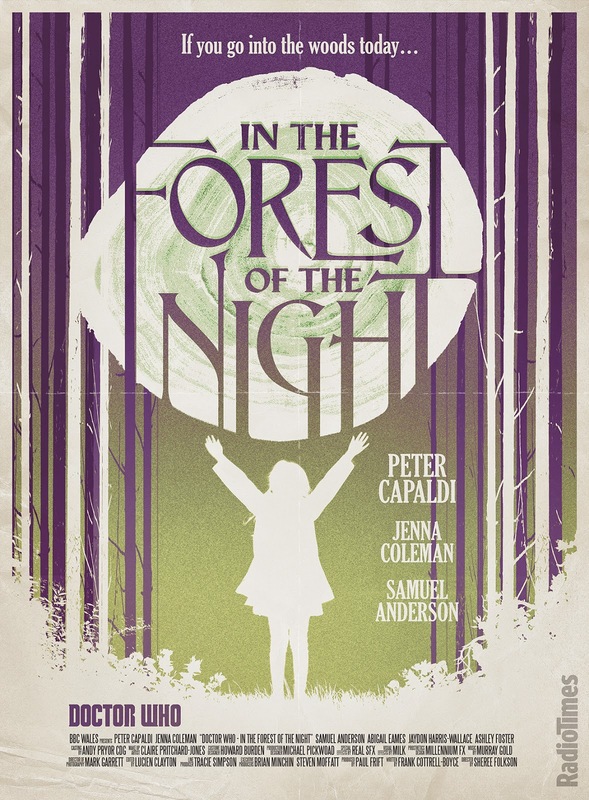 Jam-packed with annoying children and plot developments so absurd it almost became laughable, In the Forest of the Night holds a strong contender for the show's most ridiculous episode ever. Thankfully, though, it was also visually stunning, elevating it above that disaster of a finale. The visual effects offered some eye grabbing shots of an entirely green Earth, and the episode's premise allowed a plethora of nice camerawork showcases inside the forest. But even these fantastic visuals couldn't help save the weak plotting and generally poor character work, in a story that could really have been masterful, but wound up more mediocre. Mark Gatiss has never been Doctor Who's most consistent writer, and here he offered a fairly middling entry that was about on par with most of his other work. 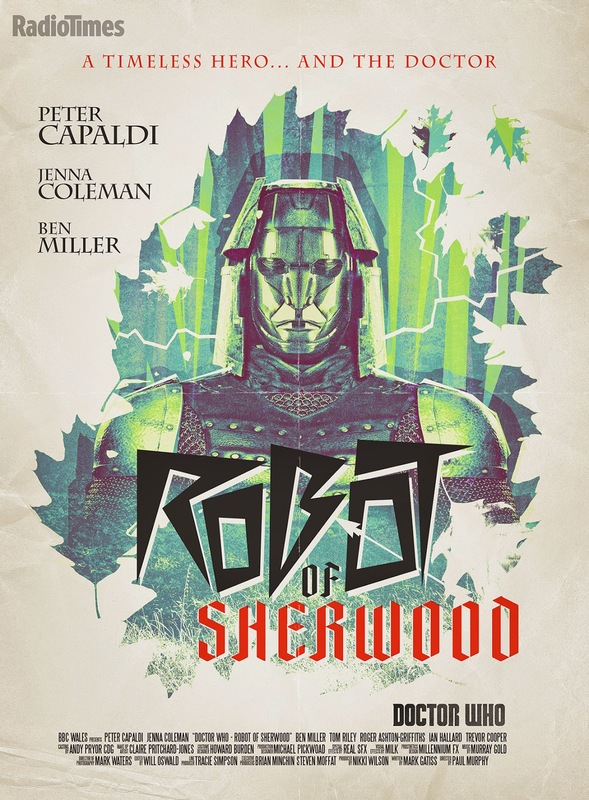 Robot of Sherwood was a great chance for Capaldi (only three episodes into his run at this point) to show off his comedic talent, and he didn't miss that opportunity. It may have felt far too silly at points, and the climax didn't really work as well as it wanted to, but in the moment this was great fun and an episode that does work more often than it doesn't. But it's also possibly the most forgettable episode of the series. With the two weaker episodes previously discussed, at least they were memorable and told an interesting (if incoherent) story. Robot of Sherwood tried hard, but spent too long setting itself up that it forget to be interesting. This is where this article is going to get tough. Flatline was a good episode, and it almost kills me to rank an episode of this quality at just ninth. But the rest of this series was of such high quality that any small mistake in an episode costs it dearly. 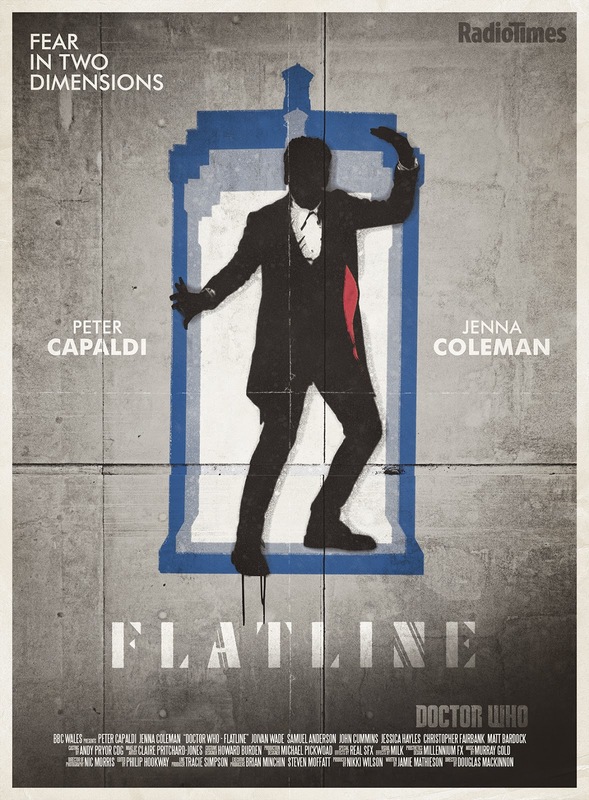 Flatline was newcomer writer Jamie Mathieson's second outing for the show, and it proved that he is a promising member of the crew that will hopefully stick around for quite a while. Dark, atmospheric and brilliantly original, Flatline was unlike anything Doctor Who had offered before. But among all of this spectacle, the ending failed to deliver. After spending 40 minutes telling us how intelligent the creatures were, the way they were tricked felt like such a letdown. There was some great humour here, and Capaldi and Coleman were terrific (I have a feeling I'll be saying that a lot here), but a weak ending let down an otherwise fantastic episode. 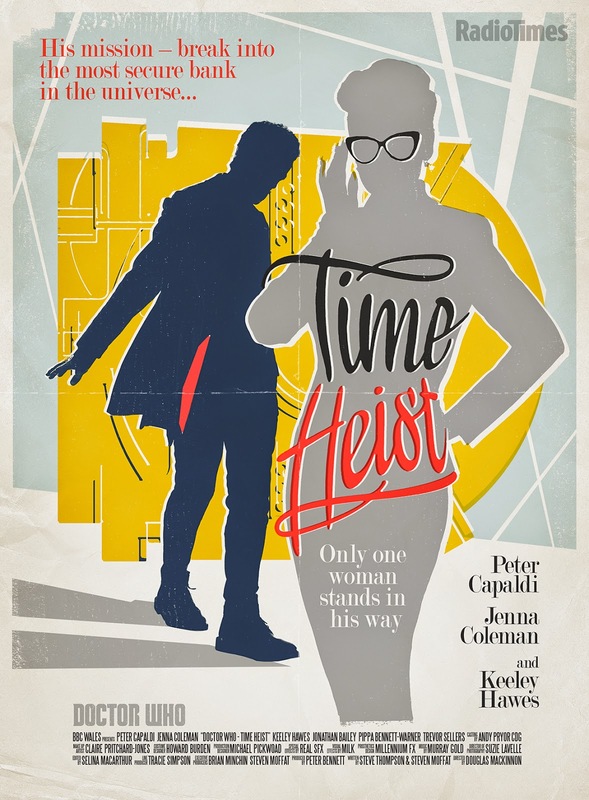 The premise of Time Heist is almost enough to rank this up there with Doctor Who's very best. It may not have delivered as well as I expected, but it was still great fun from beginning to end with an interesting and original premise. But, much like Flatline and Robot of Sherwood, this was let down by a weak ending. Whilst the latter two were more underwhelming, this one just felt too..familiar. If you mashed the endings of Listen and Hide (both terrific episodes), you'd get this. With an episode with so much to offer, it just felt like a bit of a let down. But, flaws aside, Time Heist offered some great visuals, fantastic acting and a plot so brilliantly original that it won't be forgotten for a long. long time. But I struggle to explain this consistency of weak endings, besides the fact that maybe the heavy emphasis on character for this season impacted the story writing of certain episodes. Either way, Time Heist was still pretty damn good. And we're back at Series 8's opener. An episode far too long for its own good (75 minutes was a bit of a stretch), it somehow managed to be captivating and entertaining in equal measure. This acted as our first true insight into Capaldi's Doctor, and I liked him immediately. Well, "liked" is a difficult word, implying I warmed to the character. I'm not sure I "like" Capaldi's Doctor even now, but I certainly like his interpretation of him. This also offered a newly terrific Clara (finally written well), one hell of an ending and potentially the most randomly placed dinosaur you've ever seen on TV. Inside all of this, though, were some truly fantastic scenes. Clara's "deep breath" sequence ranks up there with the best of the series, and the final showdown between the Doctor and the Half Faced Man was crucially intense. It may not have been perfect, but Deep Breath kicked off Doctor Who's eighth series with style. Those of you who read my mini reviews week by week for this show will know that I awarded this a pretty stellar 4.5/5. It speaks volumes for this series that an episode so highly rated ultimately finished at the midpoint of the rankings. Into the Dalek was the best Dalek story in years, offering a wonderfully refreshing take on the Doctor's oldest and most overused enemy. Capaldi was given a chance to shine against an enemy as hungry for attention as he is, and Clara managed to fit nicely into the story and seemed to have long forgotten her days of acting as a mere plot device. 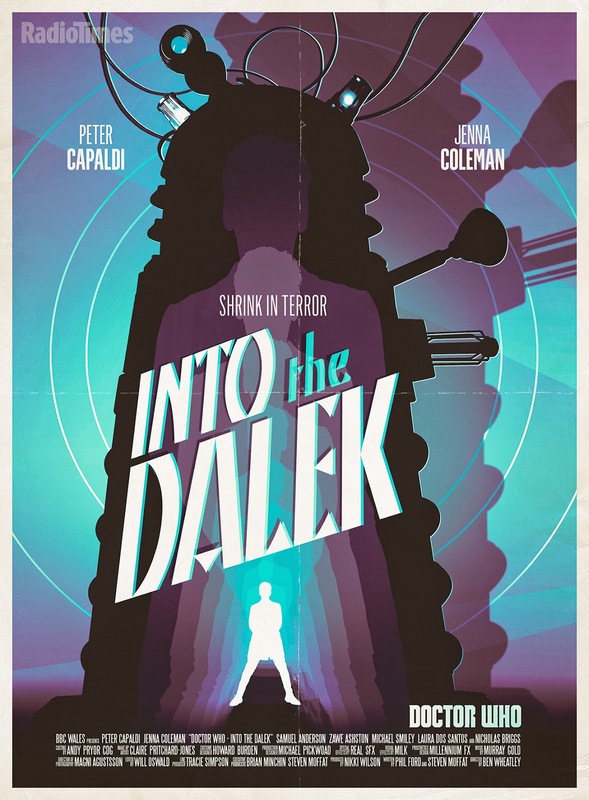 Visually interesting and ultimately somewhat powerful, Into the Dalek acted as a fantastic confirmation that Series 8 was well on its way to becoming one of the best seasons Doctor Who has offered. And, thankfully, it lived up to that expectation. Here is an episode that, given the premise and short "Next Time" preview we were given, I heavily prepared to be the weakest of the series. But, it wasn't. It was actually very good. I watched it again to make sure it wasn't just relief overpowering me, but yup. Still pretty great. Binding the Doctor, Clara and Danny to Earth for 45 minutes allowed this to drop the spectacle and really focus on why these characters are around each other. Series 8 had already been fantastic in terms of character work, so this just acted as a bonus, really. But, amidst all these wonderful character developments and realisations, The Caretaker was brilliantly entertaining and packed with some great one-liners. The Skovax Blitzer may not be the most memorable villain the show has offered, but The Caretaker set out to have some fun and work on some characters, and it did that perfectly. Jamie Mathieson's first Doctor Who offering for us worked far better than his second. 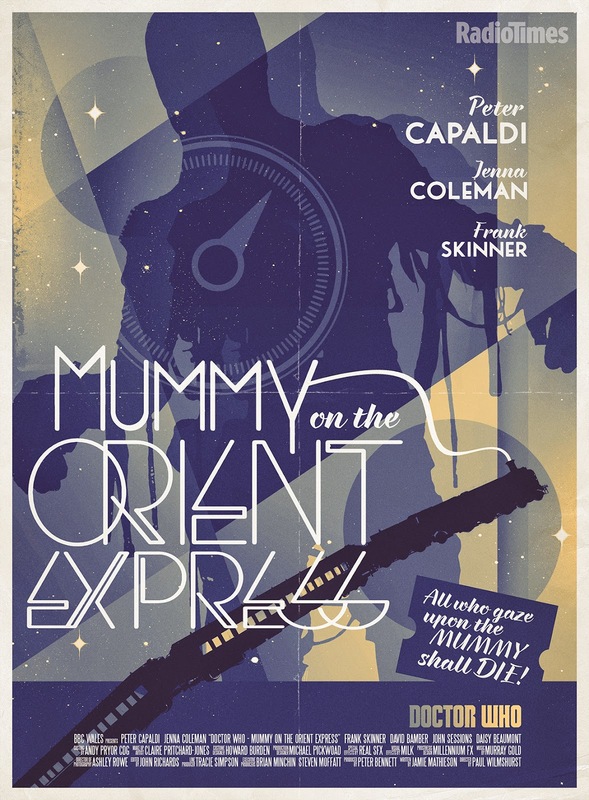 Mummy on the Orient Express was trademark Doctor Who, spliced with a touch of magnificence. Whilst the opening felt jarring coming off the back of the soon to be discussed Kill the Moon, everything afterwards was pure gold. At times terrifying and visual masterful, this will act as the focal point for Capaldi's Doctor in this series. Many criticised Clara's prominence over Series 8, but the Doctor unquestionably took the front seat here and gave arguably his best performance of the series. His performance of the Doctor's analysis of the titular Mummy at the episode's close was just extraordinary. Dark, stylish, intelligent and offering flashes of great humour, Mummy on the Orient Express is pretty much all you can ask for when it comes to Doctor Who. Now, as discussed, Series 8 fell apart in its finale. But what made that episode seem even worse is its stark comparison to the Part One episode that came before. 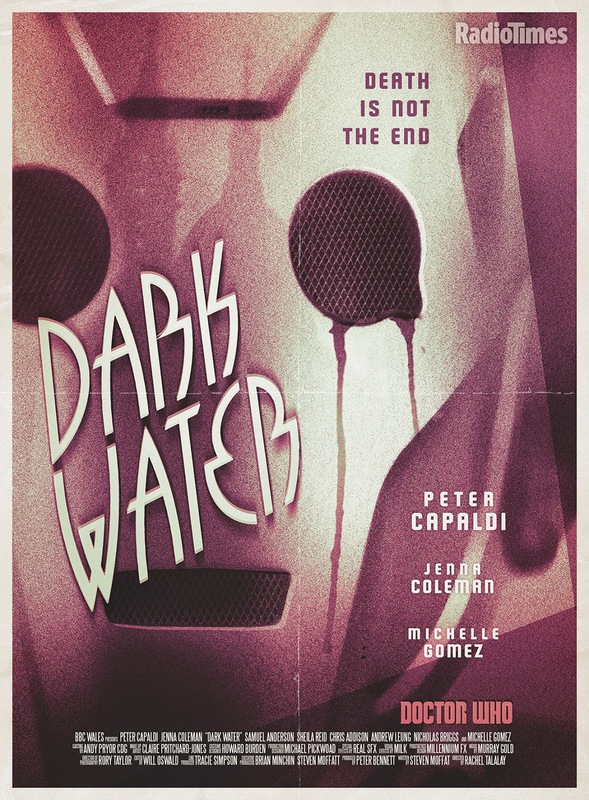 Dark Water was one of the best setups Doctor Who has ever offered. It was tense, it was smartly written and it featured a plethora of cliffhangers, each building perfectly to the episode's end. But, Dark Water's greatest asset was the direction it took in its opening scene. Killing Danny so quickly into the episode hammered the tone down with force; it was powerful, and it was emotional. Quite fittingly, Dark Water was an incredibly dark episode both visually and thematically, and by far one of the most morbid stories Moffat has offered us. But inside all of this, the characters and the story never faulted. Murray Gold provided some fantastic music, and everything built to a perfectly tense final scene. If your jaw didn't drop, it's probably broken. And here it is. Series 8's first true masterpiece came in just its fourth episode. Listen acted not only as a horror story, but as a superb character study for all three leads. We learnt something about every character, and everyone felt different by the time the credits rolled. The Doctor showed faith in Clara, Danny opened up about his past, and Clara took some initiative and became the hero in what will probably go down as one of Doctor Who's best twists. Listen was sublime from beginning to end, but came into its own in its final act. Adopting an unconventional structure (there was no real beginning-middle-end), the final part rendered me speechless. Moffat wrote this with perfection, and it was acted to match. 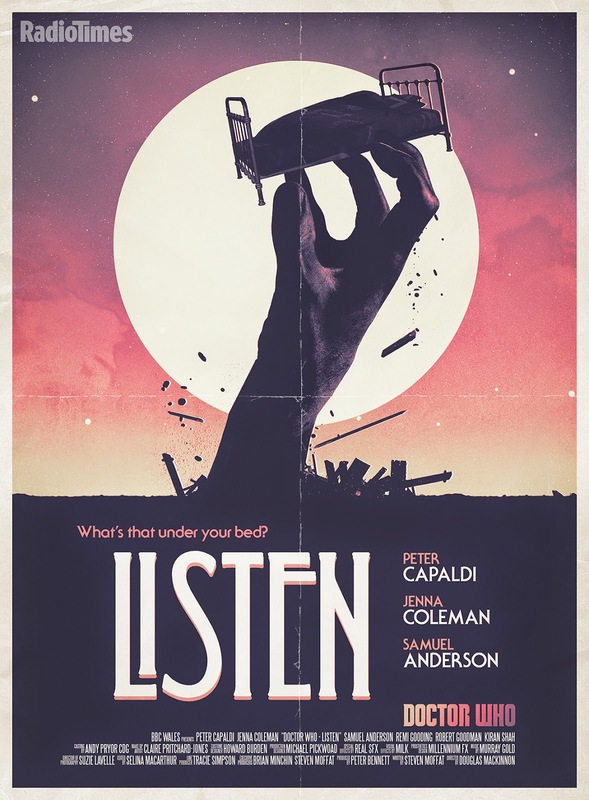 Deep, thoughtful and truly, truly powerful, Listen is one of the very best episodes Doctor Who has ever offered. It was just beautiful. This is likely to be controversial. Kill the Moon is arguably the most polarizing episode of Doctor Who. Some critics loved it, some critics hated it. Some fans loved it, some fans hated it. For me, Kill the Moon is a masterpiece. A mesmerising combination of Sci-Fi and human drama, set with a stunning visual background with empowering and thoughtful metaphors and themes at its core. It lacks the scientific accuracy that people may expect from Doctor Who, but this is what the latter part of the term Sci-Fi entails. This episode, written faultlessly by Peter Harness, tackled a tonne of science, and spliced it with a shed load of innovative fiction, and the result was a knockout. But then, something happened that we haven't seen in Doctor Who for a long, long time. The companion fought back. Clara came into her own with Kill the Moon, and that final scene in the TARDIS may go down as one of the best sequences the show has ever put out. Coleman and Capaldi were sublime, and this was the episode where I decided I wasn't ready to say goodbye to Clara. Her character was given such depth this series, and her relationship with the Doctor is so fantastically different to anything we've seen so far. For Doctor Who, there are a few episodes widely perceived as all time classics, most notably Moffat's Blink back in Series 3, which happens to be my all-time favourite episode. 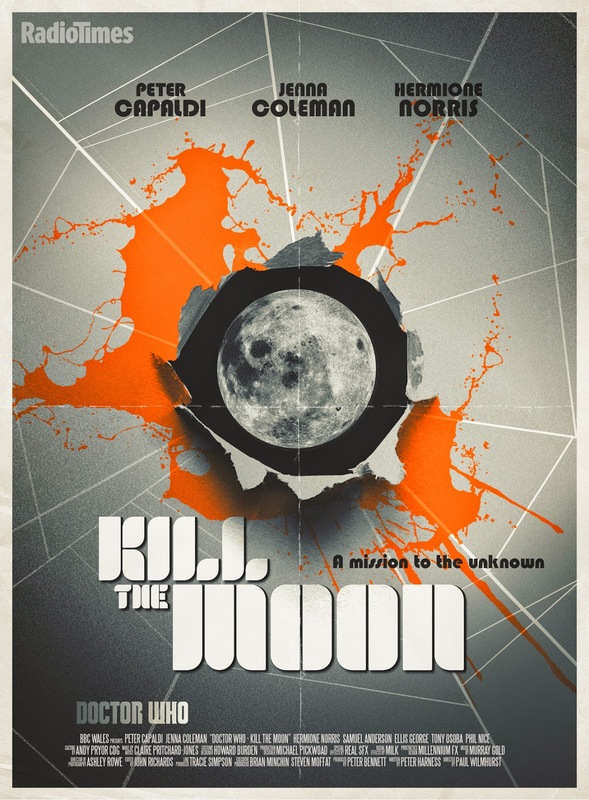 Kill the Moon somehow surpassed all expectation (from its incredible title to that haunting "Next Time" preview) and solidified itself as the second greatest Doctor Who story I have ever seen. It is, in some ways, a work of art. It is British Sci-Fi at its very best. It's what makes Doctor Who, Doctor Who. I definitely feel like I need to go back and watch Series 8. I remember absolutely hating it when it first came out with a couple of episodes being exceptions. I think I've come to realise that 14 year old me got swept up in the annoying constant Moffat hate that is present online and only snapped out of it when Series 9 rolled around. Except Sleep No More..... what went so wrong Mark Gatiss? Yeah Sleep No More isn't great. I don't think it's the horrendous disaster so many people say it is (it's visually pretty awesome and that final shot is haunting) but the story is such a mess that it doesn't hold together. I mean....Mr Sandman? Really?